We all want a prosperous life, don't we? Also there are some, who want success the easy way. Well, success never comes easy and a lot of hardwork is required. But, beware, life is life. It is not guaranteed, that on working hard success is a surety. That is the unpredictable nature of life. It hands over fruits to the ones who are not even worthy of peanuts and vice-versa. Despite all this, the common man's job is to work hard. That is to only way for him to improve upon his chances of success. 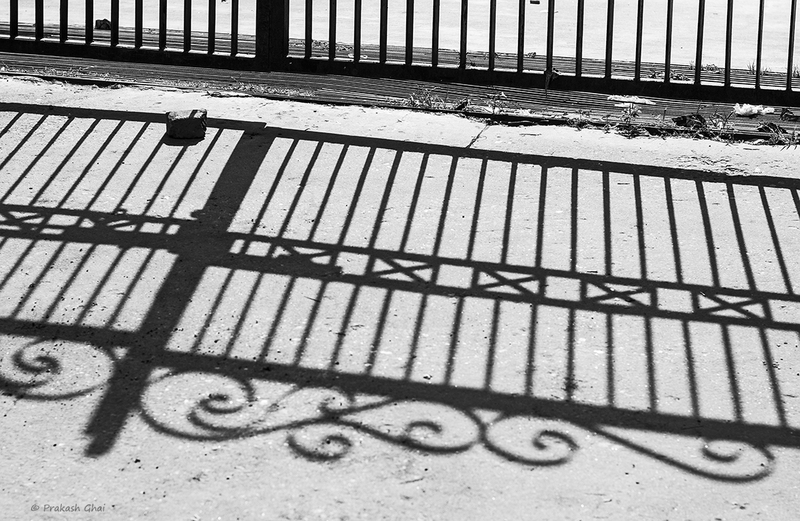 The big shadow of the gate here, indicates the preview of a probable success which lies behind the closed gate. One needs to keep toiling each day of the month/year, for the rest of his life to try and reach beyond. For most, the wait is really long. The question still remains, will Life ever be fair, in handing over success to people? Pro Tip: never miss entrance gates, they are great subjects for minimalist compositions. Yes, I agree very much with this post. The nature of life is unpredictable. While it favors some hard-workers, it ignores some. It shows partiality sometimes and favours some who are very lazy and unworthy..! Exactly. Thank you for going through. Greetings from Jaipur City.